It's the last day of school and all around the campus, everyone's buzzing with their plans for summer. Summer school. Family vacations. Missions trips. Vacation Bible School. So many wonderful plans! But, my plan for summer 2015 has them all beat. And, you don't have to be envious! I'm inviting you to join me in what could be the best summer break ever. I'm going to spend every day this summer with Jesus. I want you to join me. Imagine you, your student, and your family spending a little bit of time each day with our Savior. Counting today, there are 75 days between now and the start of the 2015/2016 school year. If we decided to spend all 75 of those days with Jesus, can you imagine what our summers, our upcoming school year, our school, and our homes would look like if we committed to spending just a few minutes each day prayerfully and expectantly at the feet of our King? We call it the Red Letter Summer and this is the second year in a row that we've done this. At the link below, you will find a Bible reading plan that takes us through all four gospels over the course of the summer, reading just one chapter each day. I would love for your family to consider joining me as we work our way through the life of Christ--hearing the stories and His teachings together. I get excited when I think about running into Northwest Christian students and families this summer at the mall, the pool, the library, or the grocery store and we've just read the same miracle or parable! Wow--no small talk necessary--we would truly have something worth talking about! I know that Bible reading plans aren't for everyone--and if your student and your family have already developed a discipline for spending time in God's word consistently--by all means, stay the course! But, while Bible reading plans aren't for everyone, the Bible certainly is. Perhaps this could be the summer where you or your student discover the beauty of committing just a few minutes of each day to prayer, Bible reading, and time with Jesus. If a Red Letter Summer reading plan sparked that desire in your student, so be it! The beautiful truths found within God's word are their own reward--finding Jesus in the pages of the gospels should require no motivation. But, I would look forward to a day this summer when many of us could come together and celebrate the things we learned in our reading. So, I'm inviting all students (pre-K through 5th grade) who would participate to join me at a special Red Letter celebration party at Pump It Up! on Monday, July 27th. The party would be free to the first 50 students who read through the plan and RSVP to me (gbrown@ncsaz.org) starting on Monday, July 20th. Details are in the Red Letter plan at the link below. Please, consider this opportunity! Spending time consistently together with Jesus this summer may just prove to be transformational for your family! There really isn't a better plan for the summer! With a 2-1 nail-biting win over the Scottsdale Christian Eagles in the semifinals, the Northwest Christian Crusader varsity baseball team advanced to the Div. III state finals for the second time in two years. But, where the team found disappointment in 2014, a dramatic win over a strong Walden Grove team finally found this team of talented, hard-working athletes win the state championship. Walden Grove had knocked out Yuma Catholic and Fountain Hills--teams that many predicted would make it to the final game--and proved that they were worthy contenders. Tied at 2-2, the final game went extra innings and featured epic pitching from senior Steven Butts. Butts pitched eight innings, allowed only 3 three hits, struck out six, and shut out Walden Grove in the final seven innings. The defining moment arrived at the bottom of the eighth. Butts was intentionally walked and made it to second, advancing junior Jake Huey to third. Senior Alec Wood hit the winning single that brought Huey in for the go-ahead score. As soon as Wood's hit made it past the Walden Grove infield, the Crusader dugout erupted. "It's been crazy," said coach Rob Bair after the win. "I've taken about eight antacids in the last two days. It's been unbelievable. I tip my hat to Walden Grove." Northwest Christian is excited to announce that senior Sam Markel has been named National Merit Scholar, a tremendous honor both for Sam and his teachers. The National Merit� Scholarship Program is an academic competition for recognition and scholarships that began in 1955. High school students enter the National Merit Program by taking the Preliminary SAT/National Merit Scholarship Qualifying Test (PSAT/NMSQT�)--a test which serves as an initial screen of approximately 1.5 million entrants each year--and by meeting published program entry and participation requirements. Of the 1.5 million entrants, some 50,000 with the highest PSAT/NMSQT� Selection Index scores (critical reading + mathematics + writing skills scores) qualify for recognition in the National Merit� Scholarship Program. In September, these high scorers are notified through their schools that they have qualified as either a Commended Student or Semifinalist. In February of each year,15,000 National Merit Semifinalists are notified by mail that they have advanced to Finalist standing. These Finalists represent the students in the top 1% tier of performance nationally. From this point, a variety of information is available for NMSC selectors to evaluate and determine the 7,600 winners of the National Merit Scholarship: the Finalist's academic record, information about the school's curricula and grading system, two sets of test scores, the high school official's written recommendation, information about the student's activities and leadership, and the Finalist's own essay. Sam is looking forward to Barrett Honors College at Arizona State University in the fall. Ultimately, his intent is to work towards a business law degree and fulfill his desire to work with non-profits. Four Northwest Christian High Schoolers--Macy Egherman, Spencer Albright, Marley Springer, and Kayla Anderson--won the school's art program some attention this past month when their four custom designed Vans shoes were chosen by a panel of Vans judges as one of six best designs in the southwest region of the United States. The "Vans Custom Culture" art contest challenged the four artists, under the direction of high school art teacher Rebecca Feight, to develop designs in four categories which captured the culture of the state they represented. Macy's design reflected Arizona 'local flavor', Spencer's designed showed Arizona art, Marley represented music, and Kayla's design captured Arizona 'action sports'. Though the team's designs finished in the top six of our region, they did not capture enough of the public vote to move on to the national competition. The shoes, however, did make the rounds, appearing in different Vans shoes outlets around the city. There's an old adage about the size of performers in an athletic contest: it's not the size of the dog in the fight, it's the size of the fight in the dog. The Northwest Christian Crusaders epitomized that adage as they scratched and clawed their way to Runner Up honors at the AIA Division III State Golf Championships at Antelope Hills Golf Club. In an environment where "ideal" and "weather conditions" bore no relationship to one another, nearly 100 high school golfers representing 28 schools battled the elements in the Division III Golf season finale. The Crusaders were led by freshman Blake Lorenz, who puts all 110-pounds into his driver swing. On Day 2, after missing a short birdie putt on hole #2, Blake proceeded to birdie 3 holes in succession, before being slightly derailed by a bogey/double-bogey stretch on holes 7 and 8. However, he continued to knock stroke-saving putts in throughout his round and finished in a tie for 7th place individually with scores of 78 and 76. Skylar Adams also finished in a tie for 7th with rounds of 74 and 80. Congratulations go out to two boys middle school teams for capturing the top spots in their respective season-ending Valley Christian Schools League tournaments this past month. Both middle school boys A-team basketball and the middle school golf team won their respective league championships. The NCS A-team basketball team was considered a long-shot by most. Coached by David Inness, on their way to the championship bracket the team had to eliminate tough teams from Rancho Solano Prep and Phoenix Country Day School. In the championship game against the favored Horizon Honors, the tenacious Crusaders pulled off a one-point, last second win in overtime. Coach Inness credited his smaller team's tenacity and commitment to playing as a team for the win. "Every night," he explained, "a different athlete stepped up to make a play. This win really required every team member to make contributions as part of the team. That's exactly what happened." The Valley Christian School League golf tournament wrapped up the middle school golf season with the annual league tournament taking place at Shalimar Golf Course. After two days of grueling competition, the Northwest Christian middle school golf team took home first place honors with a team score of 315, winning by 15 shots over runner up Tempe Prep (330). Northwest Christian, coached by Andrew Fischer, was lead by Ben Lorenz with a 1-over par 63 total. Lorenz also claimed first place individually. The Northwest Christian middle school program saw four golfers finish in the top ten. For three years, Northwest Christian has been well served through the energy and effort of Don Moenich in the role of Director of Curriculum and Instruction. This summer, however, finds Don and his wife Liz (who served as the principal of the middle school leading into 2010) transitioning into full time pastoral ministry as they accept the pastorate at Palo Verde Baptist in Buckeye, Arizona. "Don has done an amazing job of moving the school forward within the academic plan," says superintendent Geoff Brown. "His charisma, ability to speak so directly to rigorous Biblical integration in the classroom, and passion for student engagement will be sorely missed." After a vigorous interview process, the school has settled on an internal candidate to fill Don's vacated role. Beginning in July, Brett Irwin will assume the duties of Director of Curriculum and Instruction. Brett has served Northwest Christian in the classroom for just a year, having previously served at Washington High School and Apollo High School where he was involved with AP and Honors science and math. Brett's wife, Sara, also serves within the Northwest Christian community. Transition is in her future too as she moves from the fourth grade to middle school English. "This role is critical within the school," explains Geoff. "The Director of C&I has oversight of the school's ongoing academic plan and works closely with teachers regarding instructional coaching and the vitality of our curriculum and and curriculum maps. Brett will be responsible for the training of new teachers, identifying new curriculum when it's called for, and the continuing professional development of our entire staff and faculty. He'll frequently be in classrooms working with teachers. This was also a particularly important hire in terms of where the school resides presently within our ongoing academic plan. We're preparing to transition within our annual standardized testing and we've just implemented a 1:1 technology program within our high school. We're also one year into a committee that is assessing and revising our English program school-wide. Through the interview process, God's providential timing became so clear to the entire hiring committee. Brett's training, experience, and passions line up perfectly against where the Lord is leading our school." A little over a year ago, Northwest Christian learned that for varied reasons Pearson had established a "sunset" for the Stanford 10, a perennial assessment tool for the school. Immediately, a group of teachers and members of the administration were assembled as part of a committee that began the arduous task of investigating new possibilities for a suitable alternative. Now, nearly a year later, the leading candidate in this process is the ACT Aspire. As part of the selection process, a pilot for three grade levels (4th, 8th, and 10th grades) was administered this spring. This summer, the committee will review results from that pilot and make final decisions regarding testing starting as early as next year. First, the ACT Aspire is anchored by the ACT, now the leading college entrance assessment. This may ultimately allow for a "whole-school" approach to assessment that could potentially permit our teachers to monitor student achievement as part of one continuous process. Additionally, last year, Northwest Christian formed a first-of-its-kind strategic partnership with test prep industry leader Princeton Review as part of our 6th through 12th grade "Pursuing His Purpose" guidance plan. As part of this partnership, high school students who meet GPA-based minimums have free access to ACT and SAT test prep classes (students who do not meet the minimum are offered a significant discount). This year, these classes have been a huge success, have been full each session, and students are growing by leaps and bounds. With an assessment strategy that is aligned as well as we hope to see at Northwest Christian, we believe that our students will be among the best prepared for college and university in the state and that they will be in position to see even greater college scholarship opportunities. Last year, for the class of 2014, the total amount of college scholarships offered was $5,746,164, an average of $54,209 per student. While 2013 and 2014 brought in the highest scholarship totals in the school's history, we believe that an integrated, cohesive testing strategy that is supported and implemented by all K-12 teachers will see these numbers rise even further. Second, the test supports quarterly benchmark assessments that could provide our teachers with real-time data regarding student performance. Previously, like most schools, students took standardized tests in the spring and then, in the summer and fall, teachers were provided assessment data for last year's students. While this permitted teachers to be able to gauge the preparedness of their incoming students, it did not allow for teachers, in real-time, to calibrate their lessons to the developing needs of their current students. Quarterly data will permit our teachers to monitor their current students and alter the lessons to meet their immediate needs. Third, ACT Aspire supports both the traditional paper/pencil assessment model as well as digital platforms. As a school, we are committed to be an educational technology leader in the valley. Having digital support available to teachers for both the administration of the test as well as data monitoring better positions our students to be 21st century learners and our faculty to be 21st century teachers. Finally, by design, the Northwest Christian approach to the controversial Common Core standards has been measured, considered, and highly conservative. While many criticize Common Core for reason of worldview conflict issues, one of our primary concerns is also that (as yet) the standards are largely unproven and there really exists no data that convincingly establishes a correlation between the new standards and consistently improved student achievement. Therefore, unlike public schools, as a private school we are not compelled to follow Common Core standards. Instead, our teacher leaders have monitored these untested standards and "cherry picked" certain standards that we have used to build additional rigor into our lessons. We're pleased to report that ACT Aspire's standards were formulated prior to the inception of Common Core and, so far, appear to be consistent with the standards around which we have traditionally built the Northwest Christian curriculum maps. This summer, teams of Northwest Christian teachers are going to comb through our curriculum maps to make certain that they remain aligned to proven standards and the truths of God's word. This represents the fourth summer in a row in which our teachers have made certain that our maps are relevant, vital, and supporting outcomes that can be clearly seen in objective testing data. 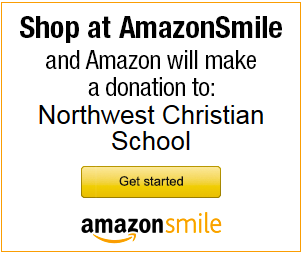 Ultimately, the Northwest Christian commitment to our families is best represented in our mission: "The mission of Northwest Christian School is to provide a Bible-based program of education that enables students to develop a Christian worldview." As we strive to root our students in Christian worldview, we are also striving to equip our students to be Christ-following, God-honoring leaders in whatever field God is uniquely calling them. Further, we believe that when we choose to put the descriptor "Christian" in front of the word "School" as part of our name, it should signal that the quality of education a student receives and their preparation to pursue His purposes in their lives should be unparalleled. As we move forward in our standardized testing decisions, we will work to keep our families informed and would welcome any feedback that our parent-partners may wish to provide.